Fang Fuqian is a professor from the Renmin University of China. 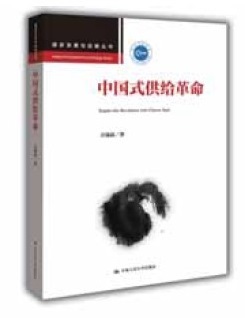 His recent book Supply-side Revolution with Chinese Style, from the perspective of historical and policy evolution, analyzed the causes and symptoms of the structural imbalances of China’s economy in its current stages. In the book, he explores the objects of and paths for China’s supply-side structural reform, and introduces institutional and structural analyses to the analytic framework of aggregated demands and total supplies. He proposes a three-stage strategy for China’s supply-side structural reform. Fang points out the shortcomings of the “aggregated demands—total supplies” model in analyzing excess production capacity——it can only analyze in terms of the sum but not the structure, and it cannot distinguish between absolute excess capacity and relative capacity. Therefore, he introduces institutional and structural analyses to analyze both the causes and policies of excess capacity, and the historical reasons for the present supply-demand structure. The mismatch between aggregated demand and total supply cannot simply be resolved from the supply side. Professor Fang suggests that administrative efforts should be coordinated alongside structural reform. On the one hand, proper growth of total demands can relieve the pressure from excess capacity; on the other hand, the structural adjustment and optimization of total demand is what the structural reform of total supply aims to achieve. Thus, the balance between total demand and total supply can be achieved, he suggests. The excess capacity and the imbalance of economic structure in China are jointly caused by factors from both the demand side and supply side. Therefore, he suggests the reform should also pay attention to the stabilization and growth of the total demands. In the book, Fang proposes a three-stage strategy for China’s supply-side structural reform: symptomatic, consolidation and eradication treatment. He suggests that such measures as cutting excess production capacity, deleveraging, destocking, lowering costs, and enhancing weak links are only the first stage, which is to remove the obstacles to the reform. And the structural optimization and institutional reform of the economy is a more important mission, he says. Consolidation treatment refers to adjusting, optimizing and upgrading the economic structure. Fang emphasizes the importance of adjusting the structure of total demands, suggesting that increasing the consumption demands should be the key point of reform and adjustment. China’s reform and upgrading of economic structure should focus on strengthening the real economy and promoting scientific and technological innovation. Fang suggests that supply-side structural reform requires institutional reform. It requires reforming the relationship between government and market, reforming the income distribution system and the land system.